If you're trying to decide on a vehicle for your family that offers the safety features that you desire, then consider the Toyota Camry. Along with the numerous safety features available, you're still going to get a vehicle that is stylish and fun to drive. Hit the open highways confidently in the new Toyota Tacoma. 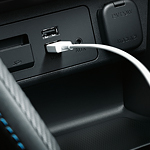 This admired mid-sized pickup truck has advanced safety features that are capable of keeping you safe and alert no matter where your travels take you. 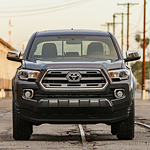 You can get the Tacoma at DCH Wappingers Falls Toyota with Dynamic Radar Cruise Control and a Lane-Departure Warning system. Getting on a schedule with the care that you give your Toyota can sometimes mean the difference in your vehicle lasting for several years or only a few. Making sure that the fluids are changed and that the electrical components are functioning as they should can deliver a smooth ride in Wappingers Falls for you and your family. 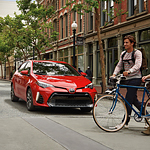 The 2019 Corolla sedan is one of the top cars on the market, and it’s incredibly exciting to see the new Hatchback XSE make a comeback. With a low price and high reliability, it’s also one of the best values for a compact in the same class. The exterior style and design make it one to watch on the road. The new aerodynamic look to the head lamps and fog lamps, as well as the all new grill size, makes it a top choice for any modern driver. There are many consumers that still believe that a used vehicle will only bring about costly repairs and trouble. The truth is, there are many reliable used vehicles on our lot that will provide you with many more years of affordable and reliable service. 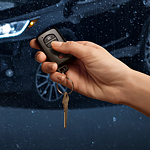 While not every used vehicle is in good shape, the certified pre-owned process is designed to find the vehicles that need repairs and attention prior to being sold. Our service technicians provide the inspections needed in order to determine whether or not a vehicle is worthy of the certified pre-owned accreditation. What Kind Of Features Come With The Toyota Yaris? The 2019 line of Toyota Yaris vehicles are out now. And you may know the Yaris as a popular subcompact car. But what do you know about its' features? You friends at DCH Wappingers Falls Toyota have the answers to all of your questions. 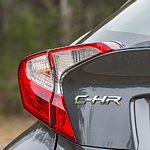 Visit DCH Wappingers Falls Toyota today so our team can show you a few of the unique safety features in the new Toyota C-HR that are the reason this popular subcompact SUV is flying off the lot. In order to keep the driver of the Toyota C-HR and those around safer, the vehicle is equipped with a rearview camera system that can increase visibility tremendously. Shift into reverse, the center console screen is now the camera monitor, giving you a clear view of anything that might be in your path when you’re moving the vehicle backwards. 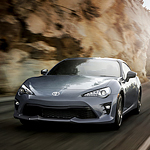 Every ride in the Toyota 86 will be an enjoyable one thanks to the available infotainment system. You can get this popular sports car at DCH Wappingers Falls Toyota with a large touch screen display and a pumping sound system. There are some who get excited about every new technology feature that is developed for vehicles. Are you one of those people? 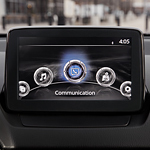 If you are looking to learn more about some of the new technology features that Toyota has come up with, check out the popular subcompact that is the Yaris and all that is a part of it. 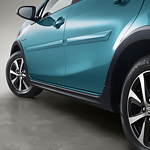 Still searching for a new compact hybrid hatchback? Consider the Toyota Prius C today! If you are driving your Toyota Prius C and it begins to drift out of the safety of the lane, the Lane-Keeping System monitors this activity and will try to warn the driver to correct the situation. By vibrating the steering wheel in varying degrees, the river will become aware of the trouble and take action.